I’ve noticed a pattern in my media consumption habits the past year or two and decided to try and dissect it a bit. Here is the preface. Most of the stories, books, comics and movies that I find myself drawn to are series. All of these series are part of different franchises, specifically Dragonball, Smallville, Marvel, various fantasy series, and of course, the grandfather of franchises, Star Wars. Now, I was introduced to Star Wars at a very young age. It was around the time that the special editions of the original trilogy were being re-released in cinemas that my family rented A New Hope on VHS and I was introduced to Luke Skywalker, Han Solo, and Princess Leia. Since then I have devoured everything that I could get my hands on relating to the galaxy far, far away. But, what is it that keeps me going back for more? What has cemented this series in my mind and kept it relevant? Furthermore, what can I learn from this phenomena as a storyteller and apply it to my own work? The main answer is simple: Star Wars continually and reliably generates new content. George Lucas has help, of course, otherwise there is no way that the amount of new content could have been cranked out so quickly. He was a marketing master and knew that if the first film was a hit, then he would be able to capitalize on that by selling the audience new products that continued their experience of the world he created. This includes books with an overall canon that is followed, keeping the stories part of a cohesive whole, television series that again follow the same canon (for the most part…here’s looking at you, Clone Wars). There are also comic books, action figures, and popular games. Alright, you may be asking yourself. That’s all great for Mr. Lucas. He has enough money to finance all these extraneous endeavors. But, how can any of this apply to my own writing? You are working on a story, presumably a novel. You have hopes for a series. Well, the answer is to plot your stories so that they fit logically and organically into your universe. Look for areas where stories can be embellished. Are there gaps of time between installments? What other stories would a reader want to read about within those gaps of time? Are there characters who could use their own story? Look at Boba Fett. He was barely seen on screen, but fans latched onto him and wanted to know more. Thankfully, Lucas had more tales of the greatest bounty hunter in the galaxy. Will you be just as ready as Lucas and his team were? But, if this is how simple it really is, then why aren’t all series a phenomenal success? There is a reason that this strategy works for some series and not for others. George Lucas created a galaxy with room to expand. A galaxy is a really large space. It is filled with hundreds of characters to follow. If your own project isn’t large enough for such a branching out then by all means do not try to squeeze more story from a tale that is already stretched thin. As a reader and watcher of Star Wars stories, I can tell that there is always more to be told. This is why I hunger for more. 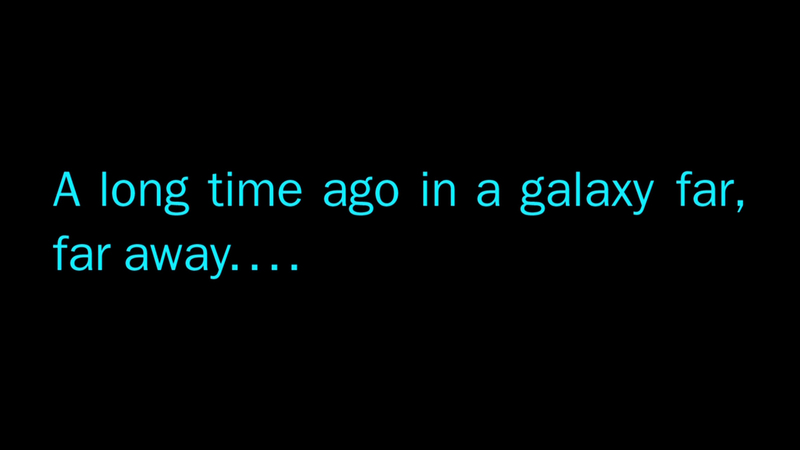 This is why I am anticipating Episode VII. I know that the well isn’t dry. This hunger makes me a fanboy. But, what about when a franchise has run out of steam or is trying hard to create more content where none is warranted? Be sure to check out my next installment in The Fanboy Chronicles to find out how to tell when a story shouldn’t be branched off.